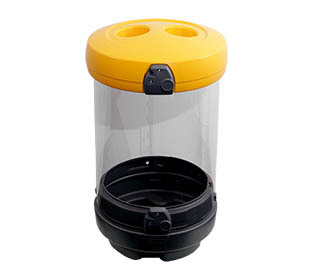 C-THRU™ RECYCLING BIN is a large 180ltr capacity container with a clear body to enable viewing of contents to ensure that there is no contamination of waste. 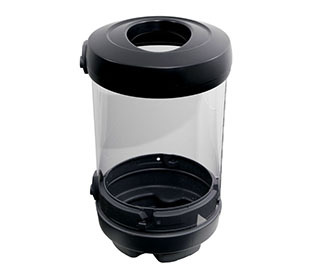 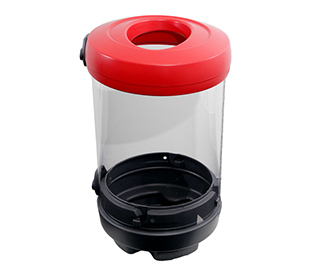 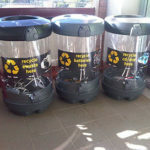 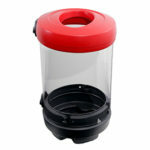 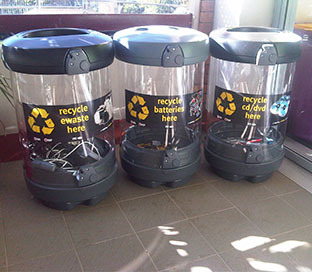 C-THRU RECYCLING BIN is available with four different hood options all with a keyed locking mechanism. 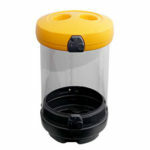 The clear body can be flat-packed for ease of storage when the bin is not in use. 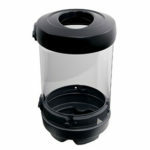 The hood displays your choice of graphics and include apertures as follows: Black hood with an oval shaped general waste aperture.